Gird your immune system because what you're about to read will make you sick. No, seriously, it's dangerous. Like Contagion-level dangerous. Scientists have discovered deadly bacteria breeding in Chinese wastewater treatment plants. 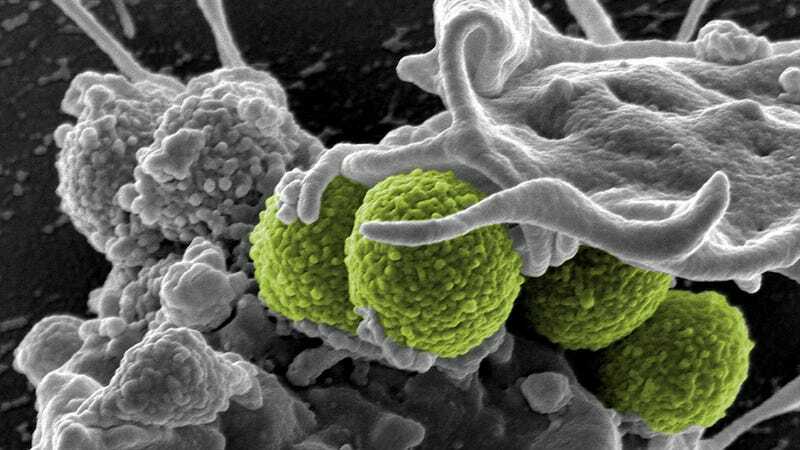 These superbugs can't be killed with even the strongest antibiotics and can survive the purification process. That means they can make their way into the drinking water. Oh yeah, and they're breeding at an alarming rate. It's scary. There's no antibiotic that can kill them. We only realized they exist just a little while ago when a Swedish man got infected in India, in New Delhi. Now, people are beginning to realize that more and more tourists trying to go to the upper waters of the Ganges River are getting these infections that cannot be treated. We often think about sewage treatment plants as a way to protect us, to get rid of all of these disease-causing constituents in wastewater. But it turns out these microbes are growing. They're eating sewage, so they proliferate. In one wastewater treatment plant, we had four to five of these superbugs coming out for every one that came in. Told you it was scary. What's even more unnerving is the fact that it's not one specific kind of bacteria that's causing the problems but, rather, a gene that can be picked up by virtually any kind of bacteria. The so-called New Delhi Metallo-beta-lactamase (NDM-1) gene can actually make common yet deadly bugs like E. coli and salmonella completely antibiotic resistant. Are you scared yet? The good news (I guess?) is that the threat is so far limited to Asia. Okay, that's terrible news for people who live in Asia. And, now that I mention it, the superbug that killed Gwyneth Paltrow and all her friends—and most of the world, in fact—in Contagion started out in Asia. And so did SARS and even the bird flu, which, by the way, is killing people.